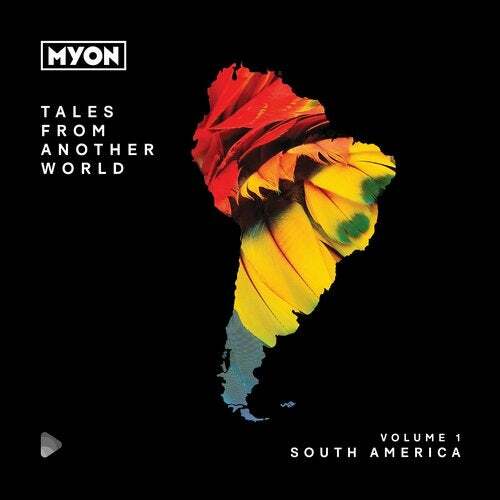 Myon reveals all the great detailas about his new mixcompilation 'Tales From Another World', enjoy! Let’s Talk, Myon!You’ve had close encounters with music compilations before, but this month sees you out with your first fully-fledged solo enterprise. What were the factors that finally saw this come together? “This has been something I wanted to do for a long time. Basically forever. Launching a mix compilation series is a huge project - if you don't want to just throw the coolest 30 songs on a double mix album - and I spent a lot time planning the visual communication, name, and musical aspect. Foremost, ‘Tales Of Another World’ aims to truly capture the soul/get to the core of an area (city, country or continent). You started with the latter. Was it at all daunting to try and get the musical measure of such a big, potentially multifarious area? Talk us through the steps you went through to realize this goal? “First, I needed a name that represented my initial idea and the concept behind the series. ‘Tales From Another World’ was the title I finally came up with, and it sounded and looked like a strong one. The title itself gives a good idea of what it’s about, but I feel it also adds an element of mystery that makes you want to check it out. By way of example, take one of the artists you worked with that hails from South America and tell us how the collaboration came to fruition? “I mainly worked with producers that don’t normally specialize in music with the South American/Latin flavor. I think this made their contributions even more special, and I challenged a lot of them to think out of the box and move out of their safe zone musically. I even challenged myself with a few of the songs and remixes on the album by using instruments I normally don’t, and working on tempos I am not known for. I enjoyed it a lot. Actually, I haven't been enjoying myself this much for a very long time! :) I have worked closely with Gabriel Montufar - who provided two songs on the album - to make sure the final versions fit in perfectly with the album’s vision.In all honesty, every single song on the compilation is something I had to fall in love with, or it would have never made it on the album”. Scale of 1 to 10, how hard was it to find just-produced material that had the very specific essence you were looking for? 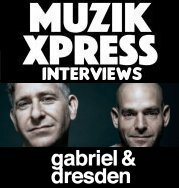 “I have about 27 exclusive tracks on the album, which pretty much gives you an answer! It was VERY hard to find music that was a perfect match for the vision I originally had. It’s safe to say that the music my producer friends and myself made specifically for the album didn’t previously exist and didn’t fit under under a certain genre. We are kind of reinventing the wheel here with a modern 2019 twist. At least that’s how it felt A&Ring brand new music that still captured an instant nostalgic retrospective vibe and sound. I was lucky to still find a few songs that sounded like they were meant to be on the album”. Stylistically, in terms of genre/genres that you’ve mixed in there, the album’s relatively free range. Was this a byproduct of the encapsulation process, or perhaps deliberately part of your MO from the start? “That was the plan straight from the beginning - to create a composition of different songs, sounds, and genres that create a picture together where you can hear all the differences, yet still feel they were destined to be compiled on one album. It’s not the easiest thing to do and it takes time - a long time - but I think there is simply no way around it”. The album’s artwork is exceptional. Who was behind that? There are some more from-the-crates tracks that you’ve dug out and remixed to use exclusively for ‘Tales Of Another World’. What prompted you to pick some of those tracks specifically? dance music records - Like Empty Streets by Late Night Alumni - and licensed those to my record label, Ride Recordings, with the idea of getting new remixes of those in my head. I felt like I couldn’t recreate the classic mix album concept and pay enough respect without including some of the biggest classics in new remixes. In fact, Empty Streets got so many good remixes during the process that I simply did not want to be in a position to chose between the Arty aka Alpha9 mix or the Lumisade one. They are both amazing and have totally distinctive sounds and in my opinion, tell a different story.The Spacelovers song was another great example of how something can be basically reborn with a new sound so that you wouldn’t even guess it’s a 16-year-old song.I initially asked my talented friend Mitiska to make a remix. I had some synths and ambient things made, but at the time I was too busy to do a full-on remix. He started to work on it and it was just pure magic. It inspired me so much that I started filling up his version with drums and effects, recorded some guitars, and suddenly, it was our first ever collaboration”. You’ve previously mentioned that compilations had an outsized impact on your own musical taste and development. What series and releases are we talking about in particular? “I think it’s probably not surprising that the old Tiesto albums - In Search Of Sunrise 4-5-6-7 - were the biggest inspirations for Tales From Another World. Also, the Perfecto Presents: South America by Hernan Cattaneo was another one that made me fall in love with the classic concept of mix compilations. Fun fact: There are many freshly remixed classic songs on my album that were originally debuted on these mix albums above”. Everything about the set up of this album suggests it’s the first of many. If that’s the case, how often do you think we’ll be seeing a new edition of ‘Tales From Another World’ arrive and any hints on where the next one might land! ?